Sprout lids are perfect for those using the jar method in sprouting. They work on wide mouth mason jars, both quart and half gallon size. 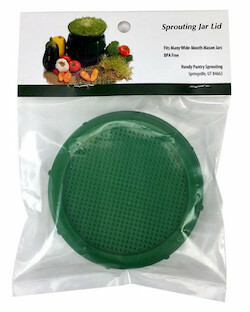 This sprout lid is made of durable food-grade plastic that won't rust or tarnish. Dishwasher safe.